September is a new month and with it comes a whole new "Author of the Month", now I know that i haven't had the chance to do this feature in a while. However, I recently read a book in July and fell in love with the author's work. So I took a chance and emailed the author right away. She was kind enough to respond and thus making her my September "Author of the Month." Some of you may have read her most recent book, The Last Magician, but she does have three previously published books as well. ALSO stay tuned till the end of this post because there is a giveaway in store! Sabrina: Hello Lisa! It is a real pleasure having you on my blog for this feature. I just recently read The Last Magician and fell in love with it. Sabrina: Back in July you released a new YA read, The Last Magician. Readers are transported back to 1900 New York city. Did you find it challenging to stay true to the time era while writing out scenes? Lisa: I did a ton of research going into writing the book, so I had a very clear sense of what New York would have been like at the time. Strangely enough, the most frustrating and difficult thing about writing in 1902 New York was the language. I had to constantly look up the etymology of words and phrases—especially sayings and slang that we take for granted—to make sure that people in the early 1900s would have used them. Sabrina: The Last Magician is lead with a strong bunch of characters, who was one of the more challenging characters to write? Lisa: I think that Jack Grew was one of the harder characters to get right. It was way too easy to make him cartoonish, and I wanted readers to understand that he felt he had legitimate reasons for doing what he did. I wanted the reader to hate him, but I also wanted the reader to understand him so they didn’t dismiss him. Sabrina: How would you describe The Last Magician in two sentences for readers out there who want to read it? Lisa: Gangs of NY with Magic: A time traveling thief has to go back to 1902 and stop the Magician from destroying a book that could save magic. Sabrina: Which two quotes from The Last Magician make you proud to say that you wrote it and would share them with readers? Sabrina: You’re an author currently of 4 published novels, do you believe any of your characters would cross and get along well together? Sabrina: If you got the opportunity to have a lunch date with one of your characters, who would it be and why? Lisa: Definitely Viola. She’s one of my most favorite characters, and we’d probably just sit around over a couple of cannoli lamenting the pitfalls of growing up in an Italian household. Sabrina: Has your writing process become easier since your debut novel Sweet Unrest? Lisa: I don’t think so, no. In fact, I wrote SWEET UNREST so much from instinct that it felt easy to write. But since then, my plots have gotten more complex and I’ve done a lot of work on learning theories of craft, so all of that slows me down and makes things more difficult. I’m a lot more aware now of when things aren’t right. Sabrina: Being an author of many settings, where would you want to visit and maybe live? Sabrina: How do you balance your time to write, read, and work? Lisa: I’m not sure that I do balance it. There are times I write like there’s nothing else in the world, and I’m a terrible mom and wife. There are other times I let the writing fall to the side, because I need that break. I just try to focus on what needs to be done and who needs my attention, and I try to be forgiving of myself for not being able to be the best mom, teacher, and writer all at the same time. Sabrina: Thank you so much Lisa for agreeing to join me on my blog today! 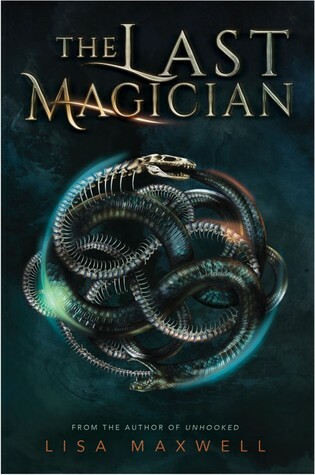 I look forward to the sequel of The Last Magician, and I can’t wait to read your future creations. Lisa: Thank you! These were such great and thoughtful questions, and I had an awesome time answering them. Description: In modern-day New York, magic is all but extinct. The remaining few who have an affinity for magic—the Mageus—live in the shadows, hiding who they are. Any Mageus who enters Manhattan becomes trapped by the Brink, a dark energy barrier that confines them to the island. Crossing it means losing their power—and often their lives.